West Palm Beach is the cousin of nouveau riche Palm Beach, just across the Intracoastal Waterway. Half-finished, earth-toned skyscrapers dot the skyline in West Palm Beach. 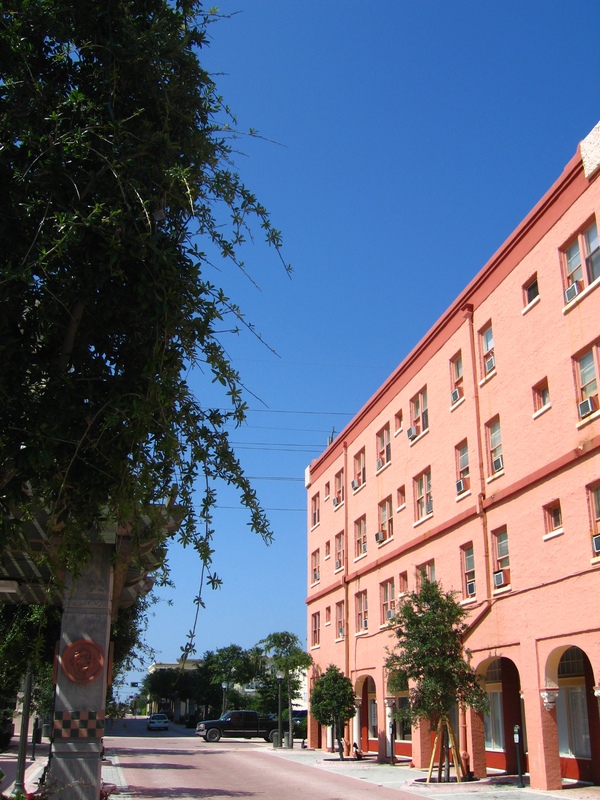 Their windows reflect the brilliant oranges and yellows of the Florida sun. I leave my mother to her afternoon nap and head out to explore the city. West Palm Beach is sterile during the day. Its narrow streets are empty except for vagrants and the occasional lost tourist. Between closed Italian restaurants and empty shopfronts I’m relieved to find a funky clothing store playing loud hip-hop. I buy a T-shirt with the ulterior motive of asking for directions to a safer part of town. 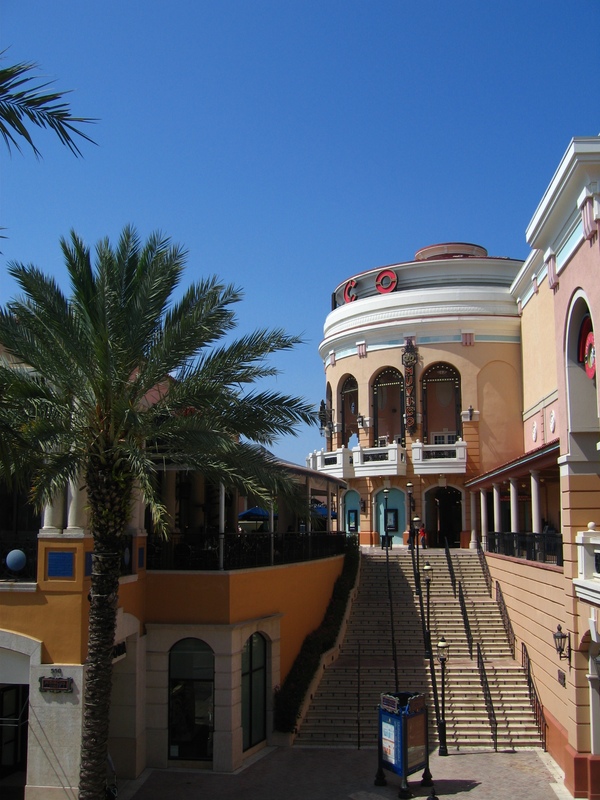 At night, West Palm Beach, or at least the CityPlace shopping mall, is reclaimed by its wealthy inhabitants. CityPlace’s contrived European plaza is flooded by white-haired souls. They stroll through its outdoor corridors, cooled by whirring ceiling fans. Softly lit restaurants and chain clothing stores open up to a town square where a classical guitarist plays to the crowds. My mother, fresh from her nap, joins me for a greasy, overpriced Italian meal. It’s only been a day and we already miss Seaside. The next morning we head to the modern, ochre Norton Museum. The museum was founded by Ralph Hubbard Norton, the Chicago-based head of the Acme Steel Company. To this day it is a reflection of his artistic tastes. Soon after, he sought the advice of the Art Institute of Chicago’s Director, Robert Harshe. Harshe led Norton towards a fine collection of contemporary European and American paintings. 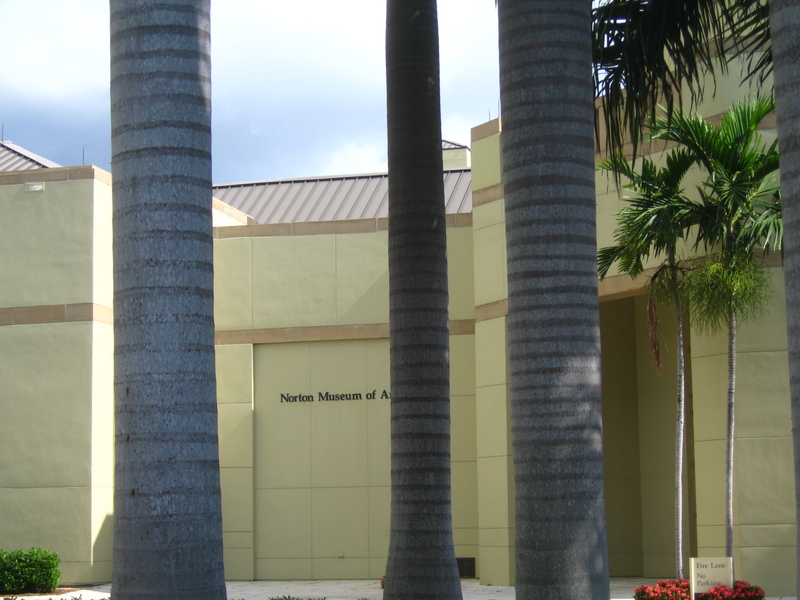 The couple retired to West Palm Beach in 1941 with one hundred and fifty works of art to donate to the museum as its founding collection. Norton continued to collect until his death in 1953. He left a total of four hundred and seventy-six artworks to the museum in addition to an endowment, still in use today, towards purchases in those areas in which he collected. Amongst these: a beautiful Edward Hopper, which eerily suits its surroundings. Which Hopper have you seen which perfectly suits its surroundings?